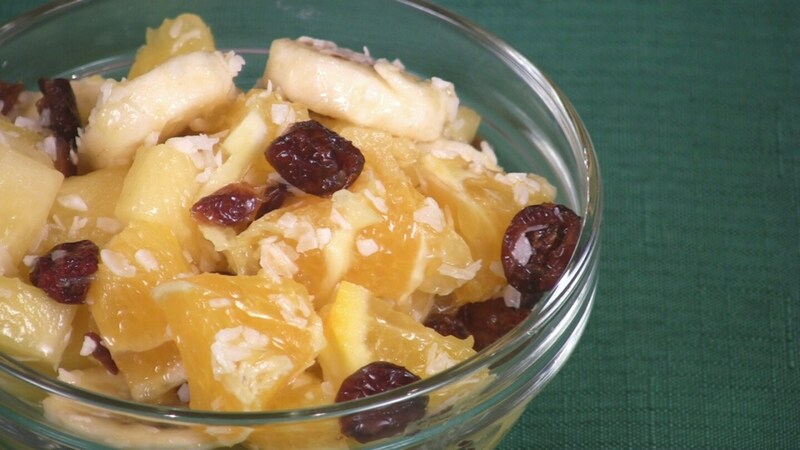 Combine the oranges, pineapple, banana, coconut, and cranberries in a medium bowl. Combine the orange juice concentrate, water, and optional almond extract in a small bowl. Pour over the fruit and toss until evenly distributed. Stored in a covered container in the refrigerator, leftover Ambrosia (without the banana) will keep for up to 2 days.